Babies love to play peek-a-boo! 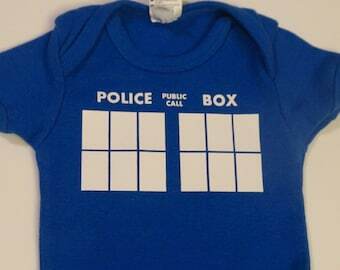 This just has a little different meaning and will show off your love for Doctor Who. 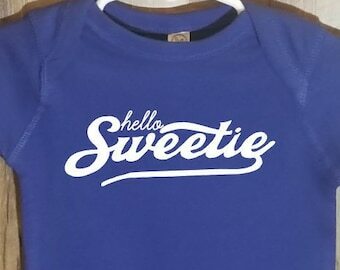 We use soft, durable Rabbit Skins brand bodysuits and toddler t-shirts. 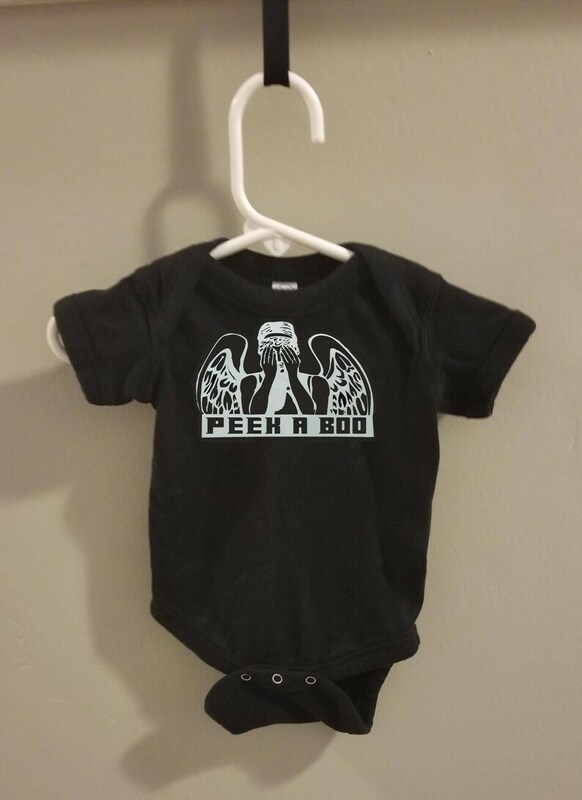 Love the peek a boo angel onesie!! 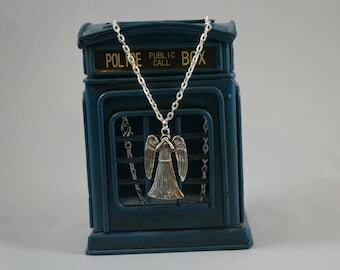 Paired it with some pants and doctor who month sticker also purchased from Etsy! So cute!